Photo taken by neighbour Howard Köhler 1895. 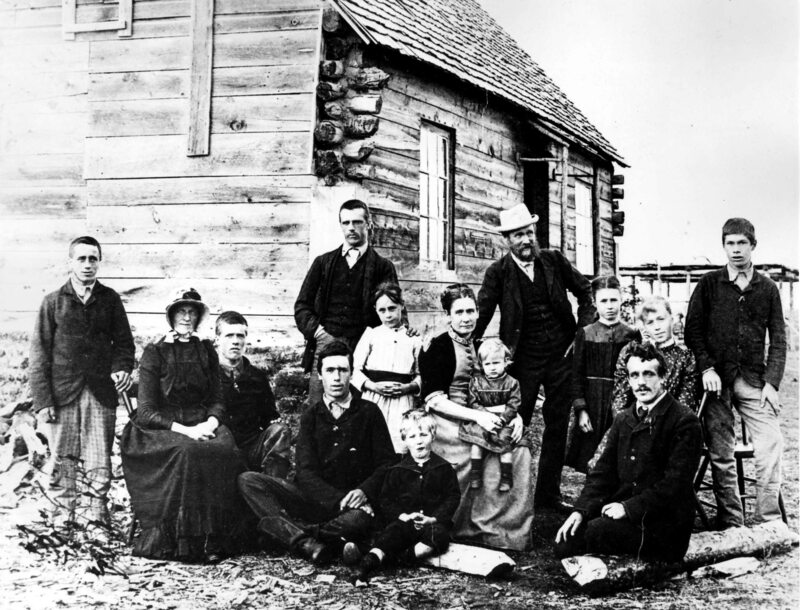 They all arrived at the homestead in 1882. Elise and Percy were engaged in Heidelberg, Germany, January, 1863. Her Baden passport was issued January 17, 1867. There are no stamps for her entry to England.